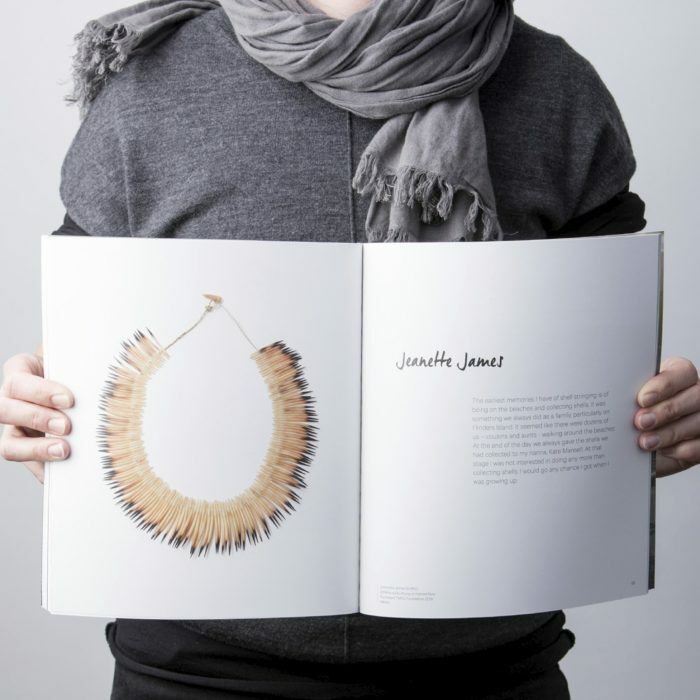 Design that truly reflects the business philosophy. 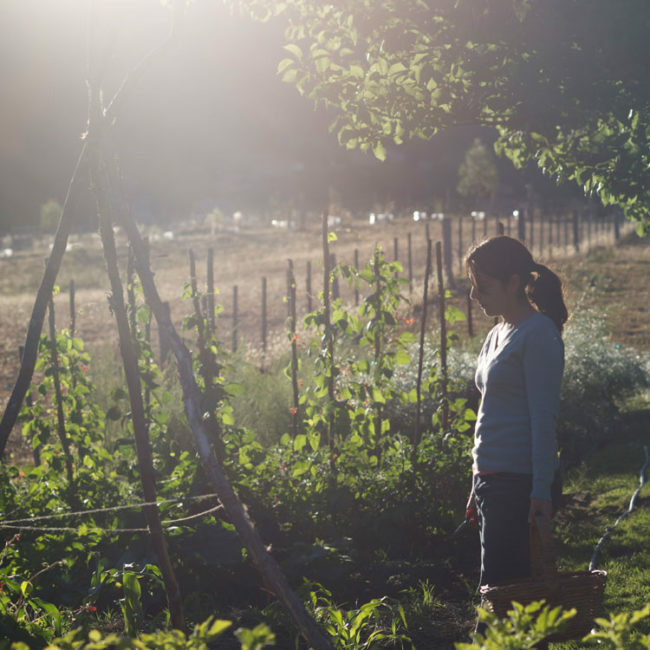 A vision to establish a farm-based cooking school, where guests could discover the simple pleasure of gathering and preparing food as close to its source as possible, has been a wonderful success for Séverine Demanet and Rodney Dunn. 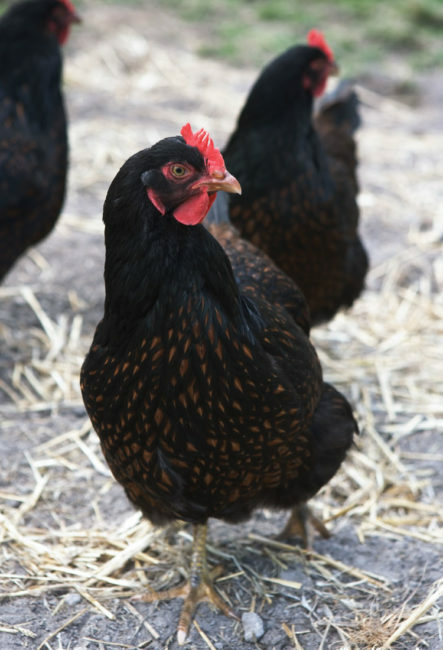 Relocating from Sydney in 2007, the pair set about transforming a 19th century schoolhouse at Lachlan into Tasmania’s first hands-on farm cooking school. 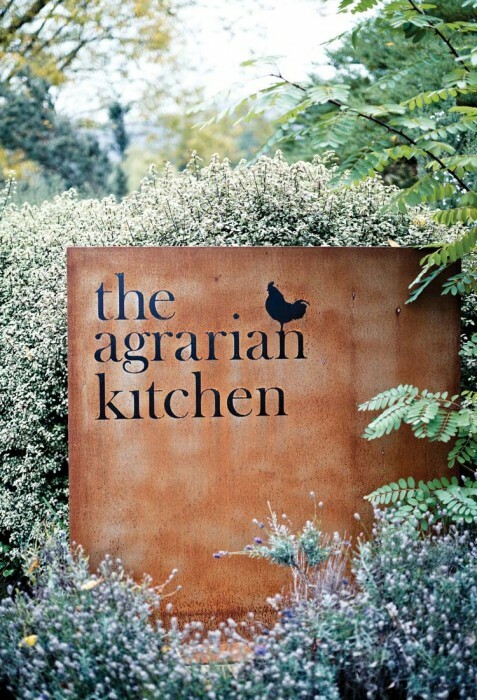 The Agrarian Kitchen opened in late 2008, and quickly developed a reputation for providing a unique paddock-to-plate cooking experience. 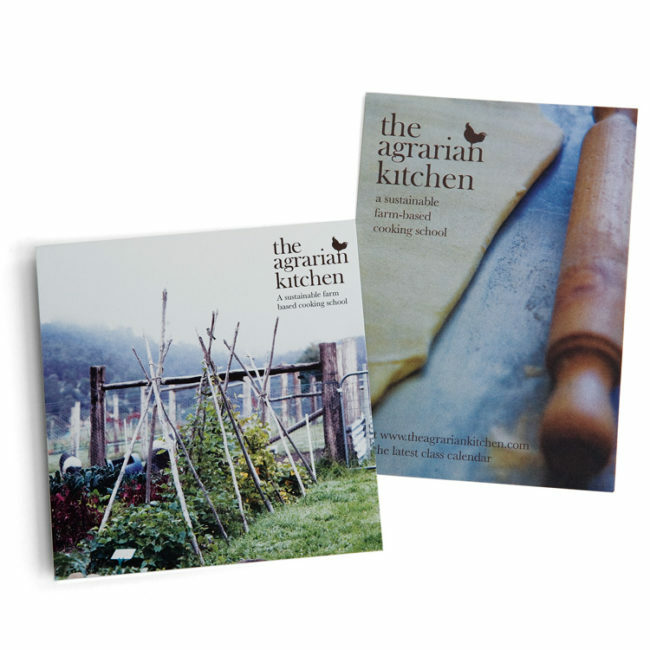 We were delighted to work with Séverine and Rodney as they developed their business – and their dream – through the planning stages, to the launch and beyond. 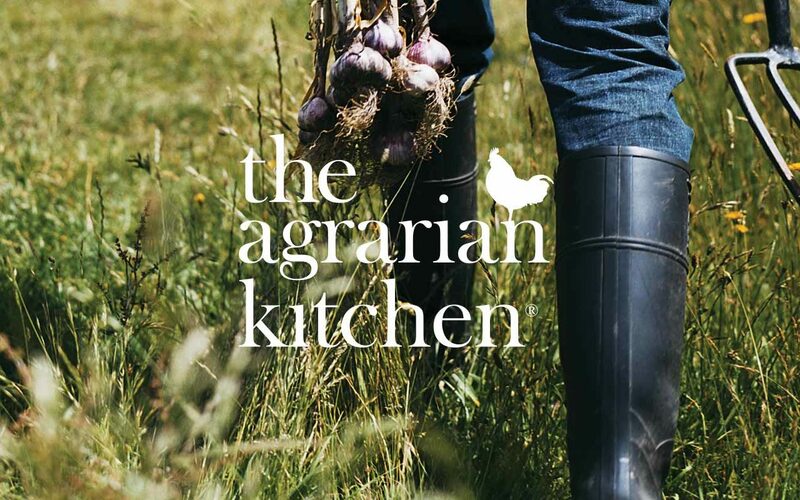 The Agrarian Kitchen is built on the philosophy of connecting the kitchen with the land – and the brand needed to showcase this. 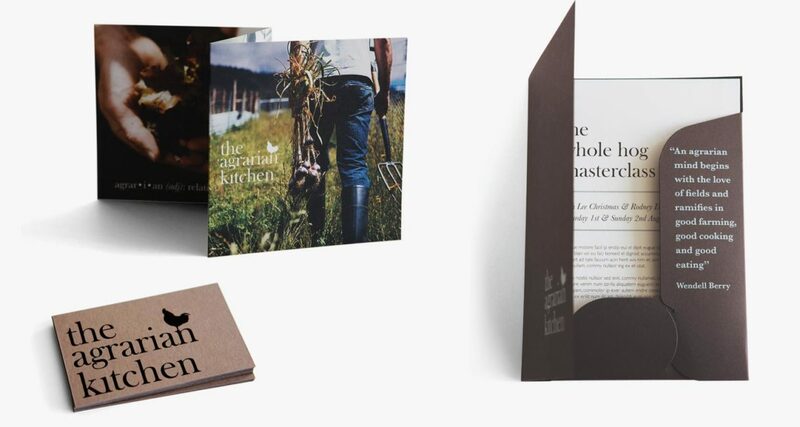 We created a visual identity that truly reflects the rustic simplicity of the farm. 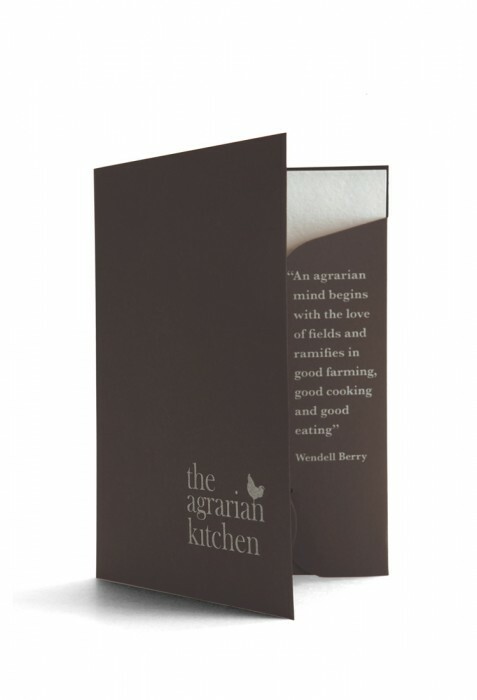 We opted for a natural colour palette, and where possible we used material in its raw state – like toothy uncoated paper and steel – as key elements. 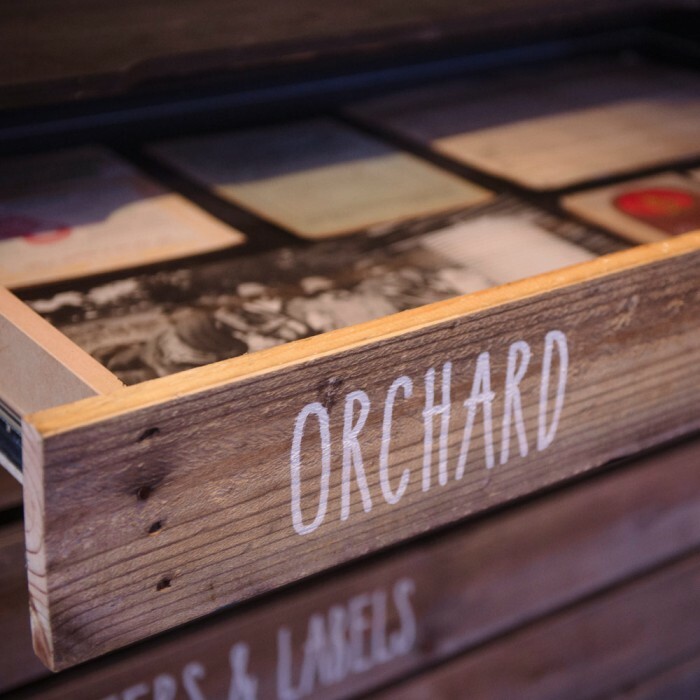 The identity complements and enhances their photography – earthy imagery that show the hands-on, authentic experience visitors are seeking. 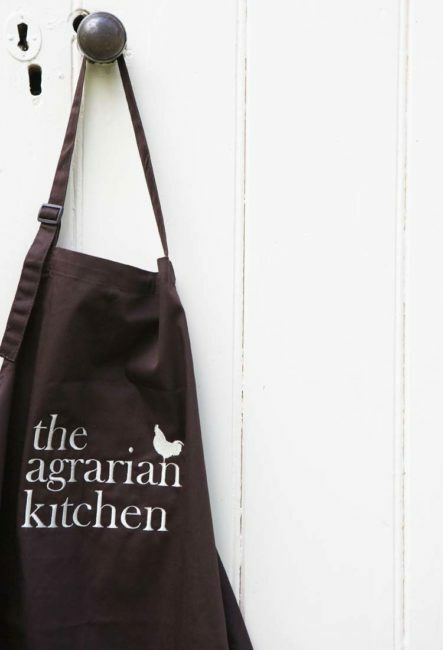 The Agrarian Kitchen’s brand has a timeless and authentic style that carries across signage, collateral, aprons, folders and publications.